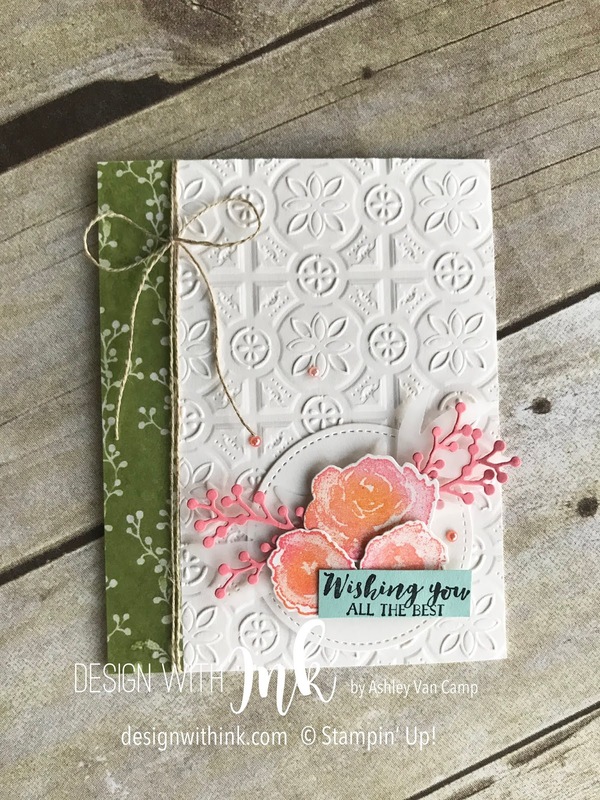 Have you figured out that the Frosted Floral Suite in the Holiday Catalog is one of my favorites?! 😀 It's so beautiful! 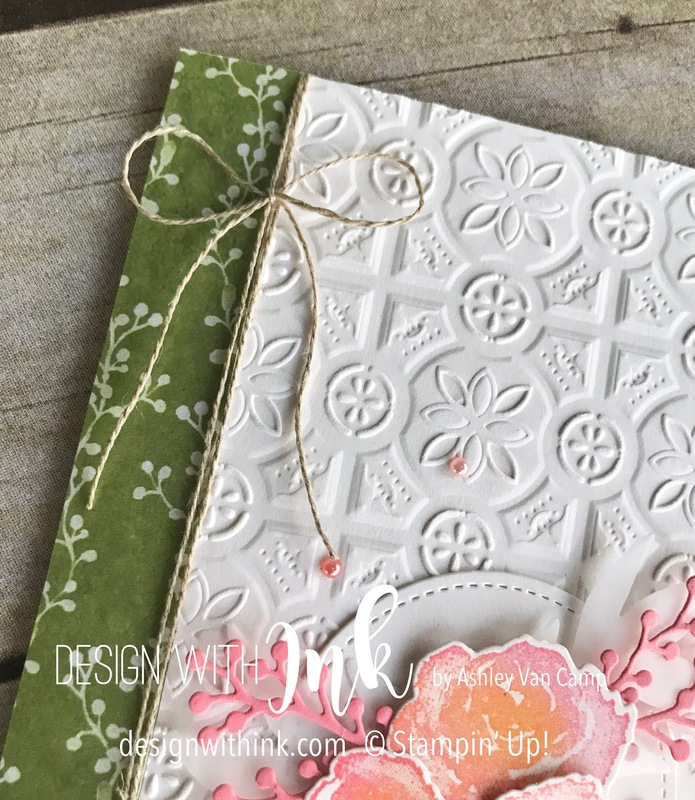 Well...I also very much love the Country Lane Suite...which has the fabulous Tin Tile Embossing Folder. Want to see a card made with both of this fabulousness?! Isn't that embossed background piece just fantastic?! And those flowers...swoon! 😍 I got the two different colors by first inking it in Flirty Flamingo ink. 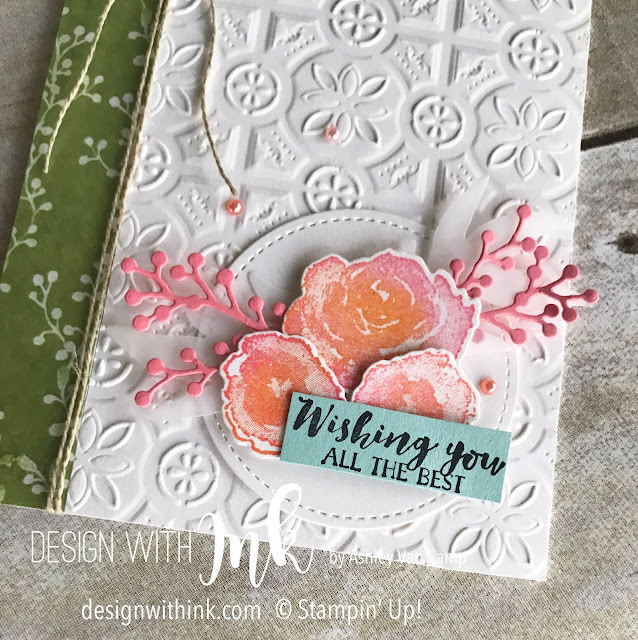 Then I dipped a Sponge Dauber into Peekaboo Peach ink and daubed it onto the flower where I wanted the color. So fun!!! Love the layered die-cuts also. I really love all the elements of this card. Thanks so much for visiting! Let me know if you have any questions on anything!! !